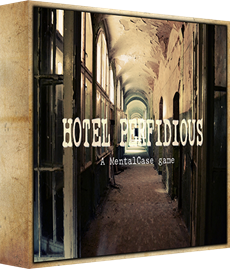 Dear Tabletopians, today we gladly present you another four new games on our platform. This time you'll be able to find Seashell on beach, Lion Spirit in jungle, Queen Bee in hive and even P51 “Pony” in hotel! 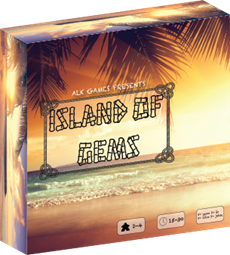 In Island of Gems, you are an islander preparing for tourists to visit Gem Island by decorating the beaches with colorful gems. The rules are very simple: you must place a gem in the section corresponding to where the previously player placed theirs. For example, if a player places their gem in the bottom left corner of a section, the next player must place theirs in the bottom left section of the board. You can support game on Kickstarter if you like it! 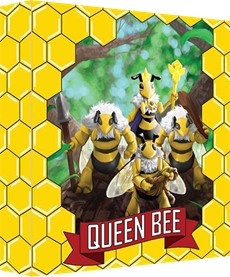 Queen Bee is a 2-4 player game where you attempt to protect your Queen Bee and kill the other Queen Bee(s). In a 3-4 player game you will want to attack quickly because once you kill the Queen Bee of another colony then their bees become loyal to you. Increase your army, be on the attack, but don’t forget to protect your Queen! 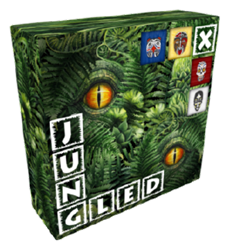 The game includes custom cards to manipulate your dice, affect your opponent or increase your power. The game ends when only one Queen Bee remains. Top-Secret Blueprints for the P51 “Pony” are rumoured to be stashed at the Hotel Perfidious, and you have been despatched to recover them. Your adversaries have already checked in, eager to claim the prize for themselves. You cannot allow this to happen. Be prepared to scour every corner of the Perfidious to find the Blueprints and utilize whatever comes to hand to keep your adversaries from doing the same. Look for signs pointing you to the Dead Drop where you are to bring them. Retrieving any of the missing Blueprints would be a Moral Victory, but recovering them all would make for a Signature Success. Godspeed!